Diversity is a term that has become a modern principle for workplaces and our Australian society. We are a diverse society, from British settlement in 1788, Chinese migration in the late 1800s, immigration from Mediterranean countries in the 1950s to the present day, never forgetting Tasmania’s own First People, the Tasmanian Aboriginal community. All political arguments aside, we are a multicultural country. But the Federal Government’s recent proposed changes to immigration laws raise questions about the diverse nature of the Australian workforce and society. At General Practice Training Tasmania (GPTT), we deal with cultural and country diversity every year, as we are allocated training places by the Federal Government to deliver Australian General Practice Training (AGPT) program in Tasmania. This program provides comprehensive and flexible training, leading to fellowship of either the Royal Australian College of General Practitioners (RACGP) or the Australian College of Rural and Remote Medicine (ACRRM). At present, it may surprise Tasmanians to realise the extent of the distribution of our overseas-trained doctors, including GPTT registrars from the United States, Pakistan, Iraq, India, the Russian Federation, Colombia, Myanmar, the United Kingdom, Poland, Sri Lanka, Iran, Bangladesh and Ireland. That clearly is a fair melting pot of people with different cultural backgrounds and experiences working across Tasmania … in our cities and our rural and remote towns and communities, also comprising culturally diverse individuals. The training program allows for a skilled and diversely trained cohort of GPTT registrars in Tasmania. 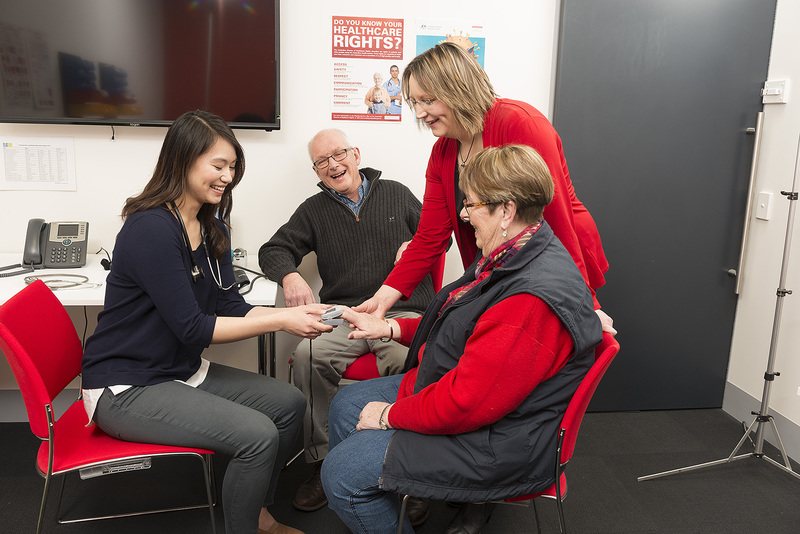 Our GPTT registrars, whether from Tasmania, other parts of Australia or overseas, are exposed to a variety of experiences in general practice. We see a number of benefits of this both educationally and personally for the doctors, as well as the benefits this provides to our communities. As part of their training they are exposed to different supervisors, different communities and different general practice business models. GPTT registrars undertake three to four years of full-time training in urban, regional and rural locations with 50 per cent of registrar training occurring in rural and remote areas of Australia. In this state, we are extremely proud of the work and partnership we have with the Tasmanian Aboriginal Centre to provide cultural awareness training. The overarching purpose for GPTT’s Aboriginal and Torres Strait Islander health training strategic plan is to expand capacity, increase activity and improve quality of general practice training provided in Aboriginal and Torres Strait Islander health settings. Each year we now hold a Cultural Camp and Workshop, where our GPTT registrars learn from members of the Tasmanian Aboriginal community. On top of this, Tasmania also benefits from the diversity of experience our GPTT registrars bring across the state. Many people don’t realise that our GP registrars have completed their university degrees in medicine and done two to three years’ work in hospitals across Australia. Many of our GPTT registrars have worked in surgical units, obstetrics and gynaecology, paediatrics, emergency medicine and other disciplines. Many had started down the road of other medical specialties before they decided that being a GP was their calling. They have chosen to become GPs, now regarded as a “specialist” medical career. And in Tasmania, we are committed at GPTT to serve our various communities statewide. This year, the latest intake of doctors have gone to Burnie, Wynyard, Ulverstone, Shearwater, Longford, Scottsdale, Riverside, Newstead, Invermay, Rokeby, Moonah, Claremont, Sorell, Huonville, Hobart, Kingston and Lauderdale. The diversity of our GPTT registrars benefits the Tasmanian community, our families and children.